First Novels Club: LEGENDary review and two-ARC Thanksgiving giveaway! Ive heard really positive reviews on this one! Thanks so much for this opportunity! And wow! 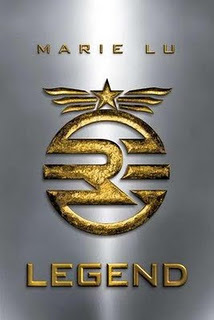 I had heard good things about LEGEND but didn't know that it got five starred reviews! I've heard a lot of great things about LEGEND so I'm very eager to read it. Sounds like it's up my alley - I love YA dystopian novels. Wow awesome giveway. Thank you so much!! I read this months ago but had to pass on the ARC to someone else, but would love to have my own to stare at my on shelves. Thanks for the giveaway. I have had LEGEND on my reading list for a while now. Fabulous thank you!! I'm looking forward to reading Legend. I so want to read Legend. Can't wait. I'd love to win. Thanks for the giveaway. *facepalm* Forgot me email there. Love dystopian! I've wanted to get my hands on Legend since I first heard about it in the blogosphere. I had no idea it had gotten so many five star reviews though. I just recently found out on facebook about the Legen....dary, LOL. Happy thanksgiving and thanks for the international giveaway! This looks like such an amazing release. I cannot wait. Thanks for the amazing giveaway! I'm dying to read Legend so winning this would make my month, LOL. Ahhh I'd LOVE a chance to read this! Thank you so much! I would love to read legend! I haven't read Legend yet but I am dying to! Hopefully I get my hands on it soon :) Thank you for the giveaway! I've been so anxious for this book to come out! Perchance I shall get to read it early? :) Thanks for the giveaway. I've heard great things about this book. Thanks for the giveaway! I've been reading great things about Legend, plus it got a positive blurb in the new EW! Thanks for the giveaway! I read the synopsis and needed to read no more. I must read this book asap! It sounds amazing!! Thanks for the awesome giveaway! I love the idea of a secret ARC! Thanks for the awesome giveaway! Ahaha, "Presto! 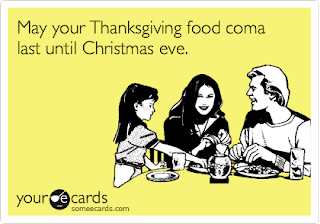 Food coma!" :) Accurate. Thanks for the giveaway. Legend is really high on my want list. Thanks for the giveaway! Added Legend to my TBR pile. Thanks for the giveaway! This book sounds awesome! I've heard really good things about this one and can't wait to get my hands on it. Thanks for the giveaway. When I first saw the cover I wasn't all that interested (another dystopian? no pretty cover? meh), but then the reviews started coming in and my attention was firmly grabbed. Day sounds like the kind of book guy I like. Thank you for the giveaway! And secret ARCs? Fun! Thanks so much for giving these away! I love reviewing and reading books and I just started a blog! I will never be sick of dystopian and of course I'm excited to support a fellow Asian writer! It always worries me too to read a book with so much hype. And I've been burned because I didn't find the book as good. I'm very interested in this one. Hope I like it like you did! No, I have read Legend, but I would LOVE the chance to read it! Legend sounds amazing.Thank you for the giveaway! I've heard good things about Legend. It sounds interesting.